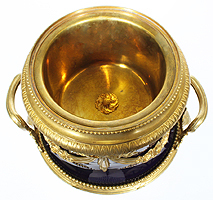 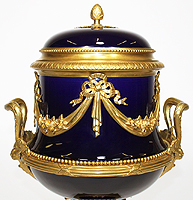 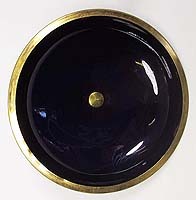 A Very Fine Napoleon III Cobalt Blue Porcelain & Gilt-Bronze Mounted Urn with Cover. 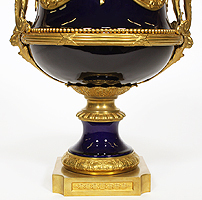 The trophy shaped urn surmounted with twin scrolled handles, floral tassels tied with ribbons, a banded rim with lion masks, raised on a square gilt-bronze and porcelain plinth and topped with a porcelain lid with an acorn finial. 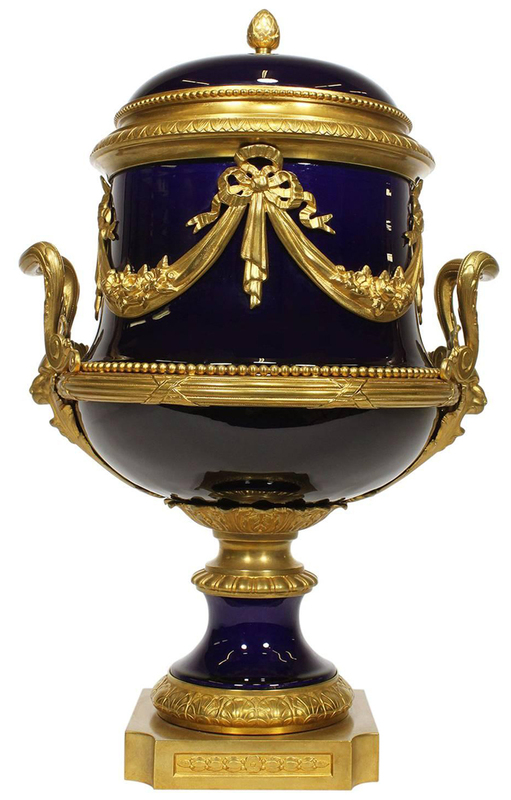 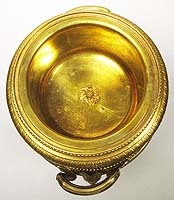 Attributed to Manufacture Nationale de Sèvres. 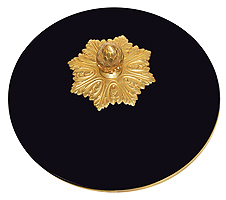 Circa: 1870-1800.